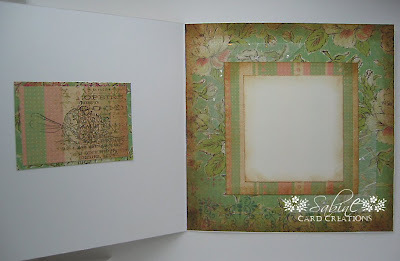 Here is a card I had planned on completing for the Friday Sketchers challenge a few weeks ago, unfortunately every day life took over and I didn't get it finished in time. Its now finished and I have used it for a Cousins birthday that is coming up very soon. 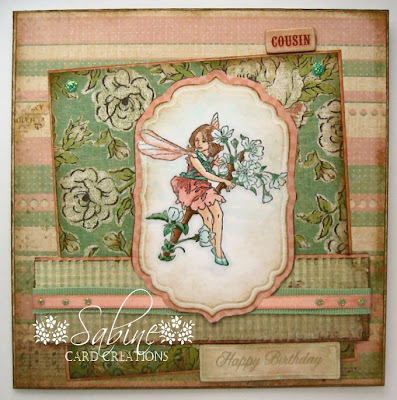 I have used K&CO 12x12" Classic Paper and a Flower Fairy stamp that came free with a card magazine some time ago. I kept the insert simple, partly to do with my time needed for other things.